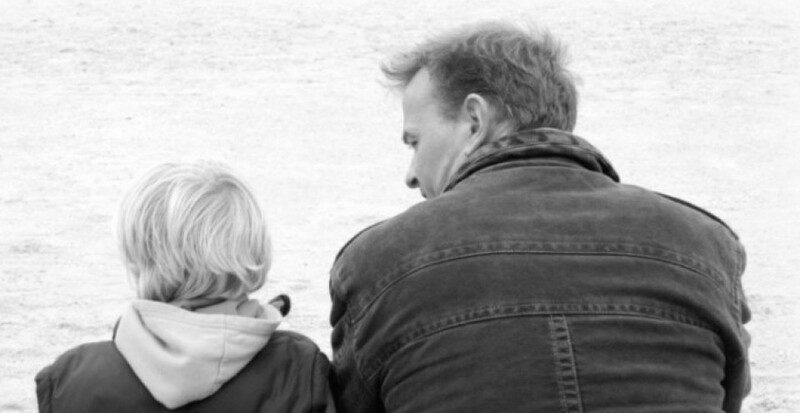 Recognizing that there is a cultural bias against dads, which cannot help but seep into the subconscious of lawyers and even judges, your next step is figuring out how you deal with the problem. Again, depending on where you are in the process, the order you do these will vary. You may start with 1 and work through them in order. Or you may start with 2 and 3 simultaneously and then move on to 1, and so on. I’ll address them in numerical order, but you have to use them based on your own life situation. There are a lot of fine family law lawyers out there (and a lot of terrible ones). If you are a dad who really wants to maximize your time with your kids because of a deep-seated desire to be a part of their life rather than wanting to minimize the amount of child support you pay, you want to be careful how you approach hiring your attorney. Most attorneys who have been practicing family law long enough to become competent (10-15 years) become somewhat jaded. Their experience is that most working dads want to minimize child support while having some quality time with the kids, generally on weekends and maybe one or two nights a week. They want some time in the summer and alternating holidays. They are “Disneyland Dads” who want the fun times without all the worries about homework and driving to and from soccer practice and sitting up with sick kids and clothes shopping and getting them up and fed and to school. This fits a lot of dads, who have gotten used to mom taking care of these things while they work during the marriage. Even in families where both parents work, here in the 21st century this stereotype often still holds true. I’m sorry, feminists and emos and enlightened males, we’re still not that far from Ozzie and Harriet in terms of traditional roles in a lot of cases. If you want to break that mold, you have to step up your game and show the Court you can handle it. It is a system of role models that harkens back to when Og left the cave hunting each day while Ug stayed with the little trolls. We say how far we’ve come but that model still persists with variations a good majority of the time. It’s the major reason we have to fight against the bias in the court system. And lawyers see it most of the time with their male clients, so they aren’t necessarily sensitive to the dads who want more, and are not skilled and prepared to fight for them. How can you spot a lawyer who truly understands you and your desire to be more than just a Disneyland Dad? Tell your story and see how they respond. One of the major ways to choose your divorce lawyer is how you emotionally connect, because this is a person you will be exposing to the deepest personal parts of your life. You will need to trust her or him and they will need to trust you. You want to be confident in their intelligence, skills and experience, but also need to be able to relate to them. Don’t be afraid to explain what your children mean to you, how important they are to you, and how much you want them to be in your life. Explain how you want to make them a priority. Moms do this all the time. They will come in and say “I don’t care about the money, all I care about is the children.” They are wrong, whether they know it or not (money is always important, if only to provide for their kids), but it’s a common theme I hear from moms. Not so much from dads. Even when the kids are very important, they come in and their spoken concerns are almost always all about money first, about how much this will cost, about what will they end up paying her. Before you meet with lawyers, get your priorities straight. Money is huge, no doubt about it. But your kids are… huger. Lead with your kids, and see how the attorney reacts. If they are puzzled, then they probably aren’t for you. If you see a spark of understanding, if they nod and express some agreement or understanding, then you may have found someone who will be as dedicated to getting your result as you are. Explain what you are able to do with your work and life schedule, and what you want out of custody – joint legal and physical, half time with you and mom, how you can make this happen. Go in with a plan (more on that in point 3). See their reaction. See if they come up with ideas on the spot to make your plan better or acknowledgement that they can make that plan work for the judge. If they tell you that the courts rarely give joint physical custody, that your kids are too young, blah blah blah, you probably don’t have someone who will fight to get you what you want. A dash of caution, an acknowledgement of the bias is OK, a bucket of cold water is a flashing warning sign. Better to move on and interview some more lawyers to find a better advocate for you and your kids. This is critical to all phases of your divorce, but parents often don’t think about it with their children, or may even think it is tacky. If you are separated, or even if you are not, you should keep careful records of the time you spend with your kids. This may prove critical in supporting your claims that you are a primary caregiver or co-parent. Given the court’s natural tendency to assume that the mother does most caregiver duties, especially for very young children, keep a record (it can be hand-written on a calendar, or recorded on your phone or tablet or computer, or in a binder – however is most convenient) on a daily basis of what you do with your kids. Record as much detail as possible. Feb 12 Sharon only visited Clara once since 1/20. Clara eating regularly now. Rash cleared up. Wearing proper size diapers now, was in too small when dropped off. We read every night. She points to words and I read and she laughs. Feb 15 Took Clara to nurse practitioner friend for checkup. Completely healthy. Record events, times you spend with them, the mundane as well as the big deals. You want to show that you help with the homework, not just the trips to the amusement parks. You want to record the dentist trips, not just the movie nights. Driving them to Staples to get the poster board for the science fair is probably more important than the amusement park. Judges want to see mom and dad acting like adults, setting aside their personal animosities that generally accompany divorce to work together for the sake of the children. If you can demonstrate that, even if she cannot, you stand a better chance of getting what you want from the judge. Document that as best you can, as often as you can. If you are still reading this, you are either really into pain or really love your kids and want to be a big part of their lives going forward. That will mean setting priorities in your life, with work and your kids coming first. You may have a significant other by this time (who may even be the cause of the divorce), but at least for the divorce proceedings you need to work with them to understand that they will need to make some sacrifices and fit into your twin priorities of work and kids. If your kids love your new partner, this may not be a problem. If you are wealthy and work is not an issue, again your partner may not be a problem. Often, however, there is at least some friction between a new love interest and children. It can be a real test of a relationship to see if your new love is flexible enough to understand that your kids must come first for the time being. Your new partner, as the adult, must be the one to make accommodations, not the children. And you want to keep your new amour out of the picture and unmentioned with the Court wherever possible. Generally if they get mentioned in a court proceeding it doesn’t help you. Hopefully your partner will understand and will be able to adapt. Hopefully it won’t cause much of a disruption to your life. But it is a factor to be considered. I won’t lie to you. To be more than a Disneyland Dad you will have to juggle work and kids. You will have them during the week, will have to figure out how you will get them to school or daycare some days, pick them up, deal with homework, provide rooms and sleeping arrangements, etc. Your cool bachelor pad will be a nursery or a hangout for noisy, messy teenagers or the rumpus room for a bunch of visiting toddlers. Where you may have only been an observer in the past you will be performing all of the duties without a net. Your Friday date nights will be spent sitting at home waiting for that guy with the tattoo to bring Charmaine home by 10. Your Saturday golfing will be working on the volcano for the science project. You chose this. I think it’s wonderful. Hopefully you will, too. You’ll have to figure out how much and where possible work can bend. Is flex time possible? Can you work from home at all? Shift your hours? Work longer shifts when you don’t have the kids? Does your job even lend itself to that kind of change? If it doesn’t, how do you plan your schedule with the kids? The judge will not be happy if you have to wake the kids at 4 AM to get them to a sitter so you can catch a commuter train to Sacramento. You will be asked, why not have them stay with their mom instead during the week? You’d better have a good answer. “Because I don’t want to pay more child support” is not a good answer. Your answer will always have to take the best interest of the children first, and your desires and needs a distant second. A good lawyer on your side can work with you to craft a plan to get you what you want and will then fight for you. They will understand that it is an uphill battle against the bias and prejudice of a society that underestimates how dads can be just as successful as primary caregivers as moms, even for young children. A good lawyer will be your advocate for you as Father of the Year. You want the judge to see you as Father Knows Best, not Homer Simpson. By rhornibrookbala in Uncategorized on April 3, 2015 .